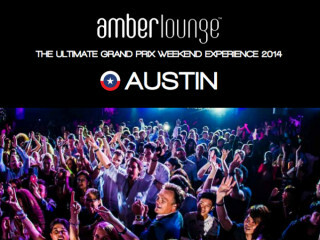 The Amber Lounge is the "original Formula 1 experience." Originating from Monaco, this stylish evening experience travels around various race locations to coincide with the Grand Prix. Now it's returning to Austin for two evenings of F1 weekend and turning the former La Zona Rosa location into a mecca for drivers, celebrities, business magnates and race enthusiasts. The lineup includes the legendary "Girls Night Out" party on Saturday as well as the post-race final party on Sunday with performances from DJ Lora and John Martin, vocalist of Swedish House Mafia. VIP tables and packages are available as well as one-day passes.